TCS Series Tear Tab Plastic Caps in sizes to fit 3/16" through 1" tubes. 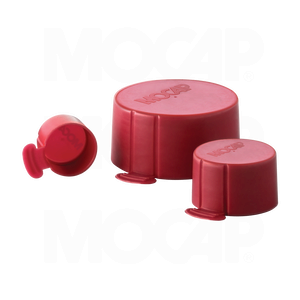 Additional series of tear tab plastic caps available to fit Metric, BSP and NPT Threads and fittings. Many Sizes of Our Tear Tab Plastic Caps for Straight Threads are Stocked for Immediate Shipment.